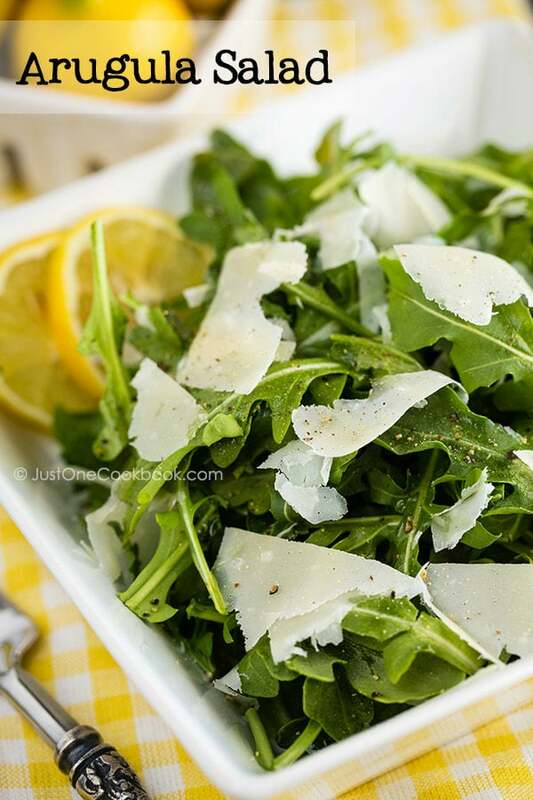 Delicious and easy arugula salad drizzled with lemon juice, olive oil, and topped with shaved Parmesan cheese. Ready in 5 minutes! My husband is usually not a big fan of salads, but he would eat them regardless since he knows salads are good for him. Several years ago, he came home quite excited after having lunch at his Dutch coworker’s house. He told me the coworker had served a simple and delicious easy Arugula Salad which he absolutely loved. My husband then made the salad for me soon after and I knew immediately why he was so smitten by the salad. We enjoyed it so much that we had since served this salad for dinner at least once every other week now. The wonderful thing about this arugula salad is it’s ridiculously easy to make. With just a few ingredients, you’d have a nice bowl of greens to go with anything really. 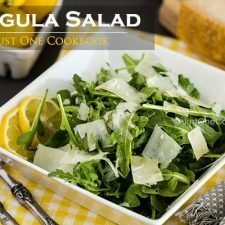 Besides arugula, you are likely to have most of the ingredients in your kitchen – quality olive oil, fresh lemon juice, freshly ground black pepper, salt, and trusty block of Parmesan cheese. This salad might look simple, but the taste is fairly complex. The peppery bitter taste of arugula accented with tangy lemon juice, and blended with slices of Parmesan cheese is quite addicting. If you like arugula, I hope you’ll give this simple salad a try. Gather all the ingredients. Rinse the arugula in cold running water and drain well. Place it in the serving bowl. For dressing, drizzle the olive oil, lemon juice, and sprinkle freshly ground black pepper and salt. Slice the cheese into 1mm thickness and sprinkle over the salad. Toss everything before serving to an individual plate. We really love WAFU® Japanese dressings, and I reviewed their dressings and gave away to some readers last year (read the post here). Their dressings are so delicious and they taste very authentic. 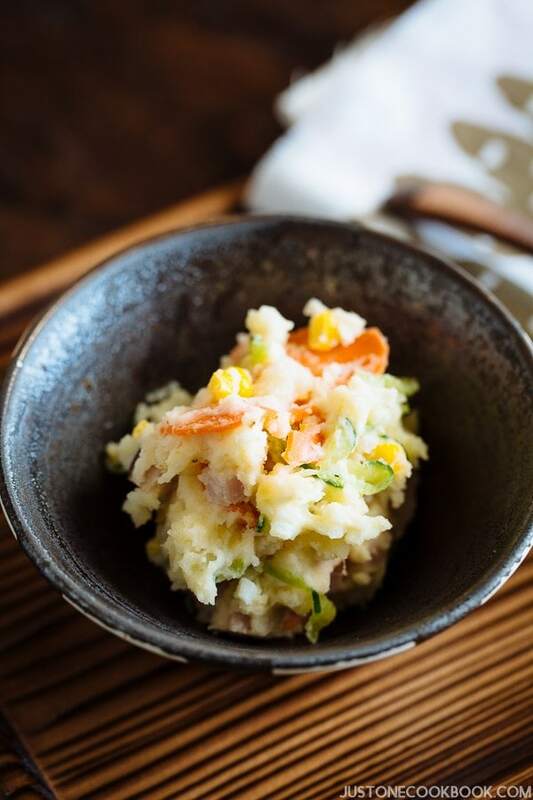 We recommended WAFU dressings to our friends and their original sesame dressing is our go-to dressing when I don’t have time to make my Homemade Sesame Dressing. 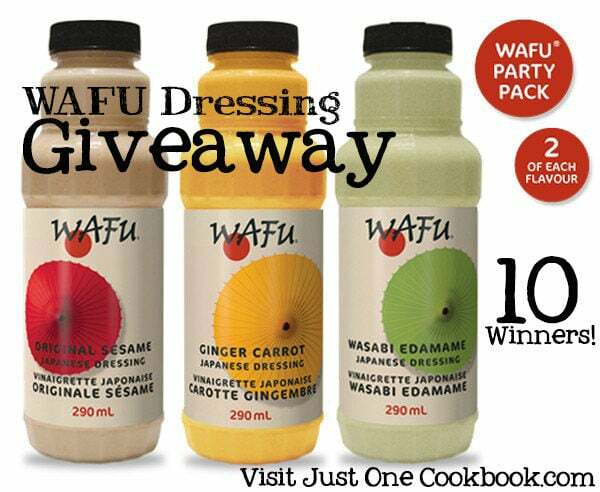 Today I am partnering with WAFU® to give away their delicious Japanese dressings, and ten (10) lucky winners who will receive WAFU Dressing Party Pack (a set of 6 bottles!). Now, here’s your chance to win to taste these delicious dressings! Click HERE to enter to win! This giveaway is open for US and Canada residents only. Full disclosure: This giveaway is sponsored by WAFU®. Just One Cookbook is not being paid or given any compensation for this giveaway. wait..im getting confused..apparently arugula = rocket but not wild rocket.. hmmm..
That is seriously one gorgeous salad! Oh I will certainly give this salad a try! As for your giveaway, I wish i live in the US..LOL! Good Luck to everyone who will join! I love arugula! 🙂 And your dressing couldn’t be more refreshing and so simple to prepare. I don’t think I’ve ever try Wafu’s dressing yet. I’m heading over to enter the giveaway now. 🙂 They sounds delicious and I trust your review. Here in Italy arugula salad is a classic… and it’s one of the salads my boyfriend loves. It’s simple, and yet delicious! Aren’t we the same all over the world! Our favourite salad too. We were in Italy last month and brought a chunk of very fresh creamy parmesan home – what a treat! never had Arugula Salad before, but it sound very healthy.. There is nothing better than simple, quality, fresh ingredients! It’s called rocket here. I love arugula salad just like this. At my local farmer’s market, there is a wonderful stand that sells organic greens, including the most beautiful and delicious arugula and mixed greens. I’m totally hooked and buy a bunch every Sunday that I get to visit. We are like you guys and have arugula just about every other week. We’ll make a similar version with some halved cherry tomatoes and serrano ham. Your salad looks absolutely beautiful! 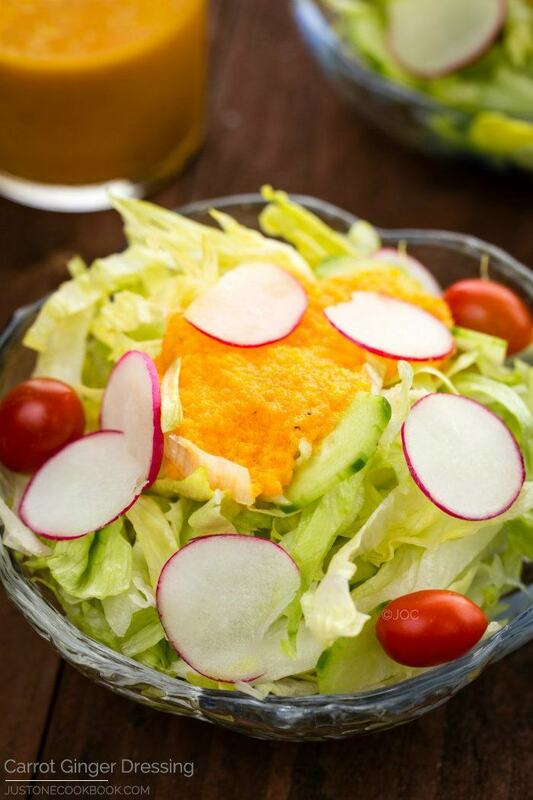 This salad looks so fresh, crisp and delicious, Nami! I love the big shavings of Parmesan over top, too! Thanks for sharing and have a great weekend. I’m not a big salad fan either but I do like to pick on the Parmesan part of it. 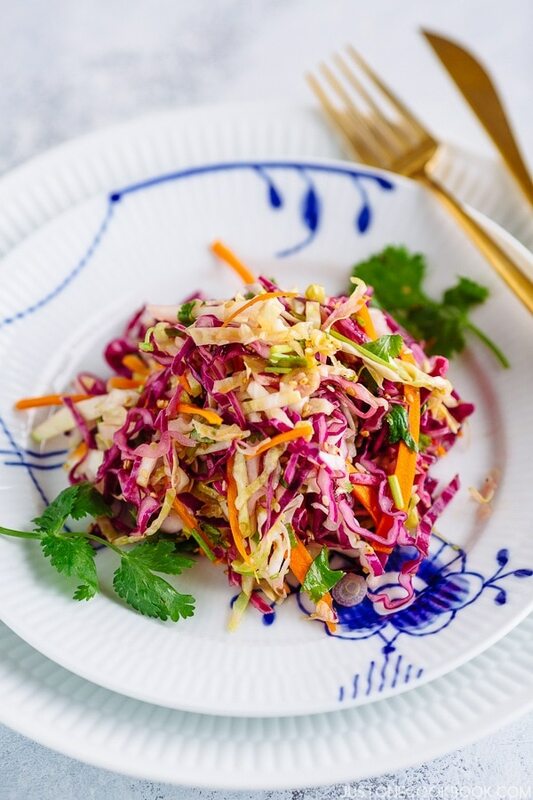 Hi Nami, beautiful photos and a gorgeous simple salad. I love the texture and flavour of arugula. It is well able to hold its own on the plate! Love the freshness of greens and the simple dressing here! nom nom nom!! One of my favorite salads! Refined tasting and wonderfully summery! I love arugula. They all look and sound delicious, but probably, I would choose Original Sesame. Arugula is great, isn’t it? We eat it often (and grow it in our garden). 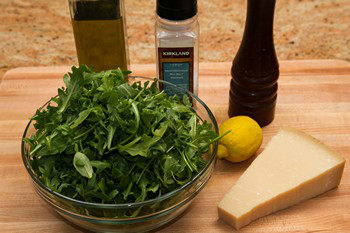 Your salad looks wonderful – the Parmesan is so flavorful with arugula. Good stuff – thanks. I would love the original sesame! Yum! I love arugula. Interesting to know that what people are referring to as “rocket leaves” is actually arugula. The ingredients used for this salad is similar to the ingredients of a kale salad I recently made. As my family isn’t a fan of cheese, would it be okay to omit it? I’ve always had arugula on pizza, never try this on salad by itself, but this definitely looks very refreshing. Hope you’re enjoying your time with your family. 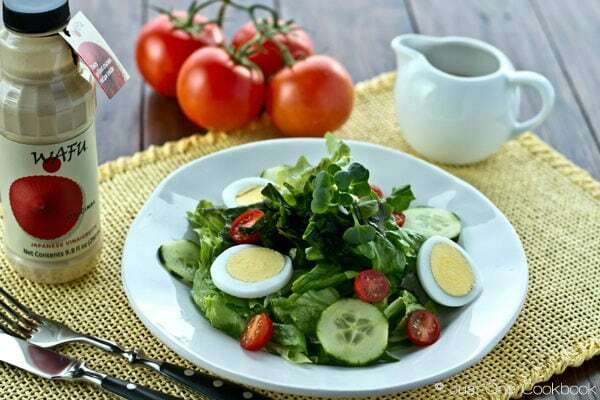 The salad looks simple but good quality ingredients and fresh greens must provide great flavour. I love this salad, Nami! Good parmesan makes all the difference :). 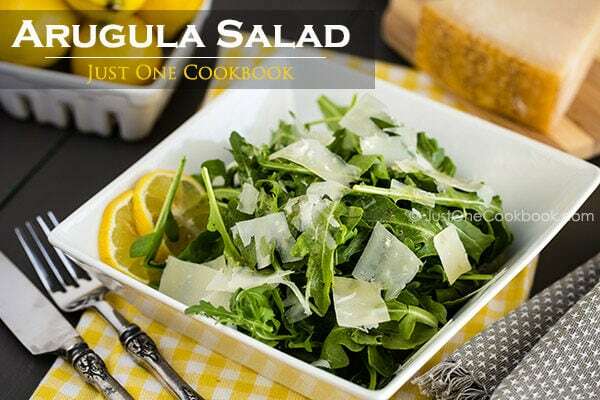 I love arugula, it is one of my favorite greens. It has so much flavor you don’t need to do much with it to have a great dish. We love arugula and your salad is just perfect for these summer humid days. What I also love are your tempting pictures-it is screaming at me! Gorgeous! Have a great weekend! 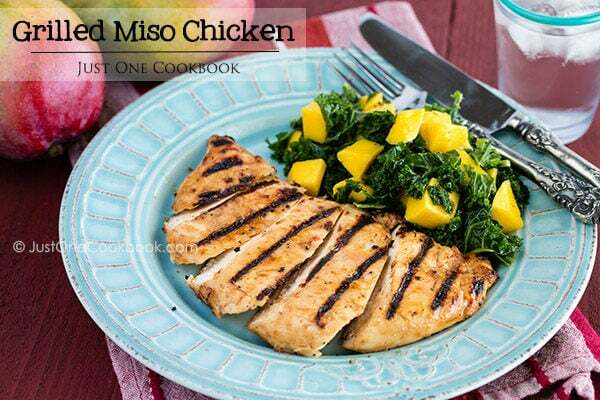 I think your arugula salad would be perfect with the wasabi edamame dressing. By the way, I’m already subscribed to your Pinterest page. As I have 1-2 salads daily summer and winter arugula is a dear friend. Must admit I have not added cheese for the longest time, so thanks for jogging my memory banks 🙂 !! Oh, that is a dish I adore! So summery and scrumptious. Summers are all about salads and coolers. I love this simple yet refreshing salad. Good Morning Nami!! Your husband has it right, arugula is fabulous. I have a similar story. Years ago I had seen arugula and while I like salads, I’m not so adventurous in trying greens (I still can’t get into kale). One day though, I was with friends who had ordered a cheese plate, and on the side rested some oiled greens. Thinking my nutrition could use a boost, I tried one of the greens and the peppery bite lit up my mouth! I cleaned that plate and decided I needed to figure out what the oil was that made the green so good. Fast forward, and I know it’s the arugula that brings that awesome flavor, and this salad serves perfectly to highlight it. Lemon and cheese, perfect compliments!! He’s on to something! Love the fresh shavings of Parmesan! Nami my daugther wants I make Ramen for her, you have others ramen récipes or this is the only one? Aww I hope he enjoyed the Salted Salmon. Thanks for trying the recipe, Sissi! Shen must have really like that salad to come home and make it for you! Our men are definitely motivated by their stomachs. 🙂 Bobby does the same thing sometimes. He saw a recipe the other day that look really good to him so he made it for me last night. It was delicious as well. In fact this wonderful arugula salad would have been a great side for it. 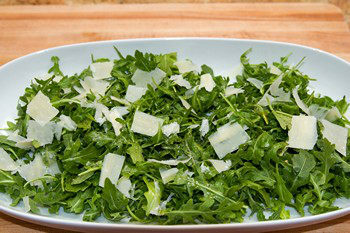 I love the simplicity of this salad and I can taste the peppery arugula with the Parmesan. Sounds and looks wonderful! Haven’t tried any of the dressings (yet); but I made this super easy arugula salad of yours today & it’s a hit (of course). Way to use my plethora of lemons from my lovely lemon tree! Thank you! This simply looks delicious. The moment I saw I pinned it. Hi, I’m pretty disappointed by this recipe, wich is excellent but personnaly I’m looking for “new” recipe and this is a pretty common already seen. Doesn’t educate them. Nami I just love this salad. It’s just sheer perfection. We love arugula too, it’s such a great salad leaf, we particularly like it with a honey dressing. 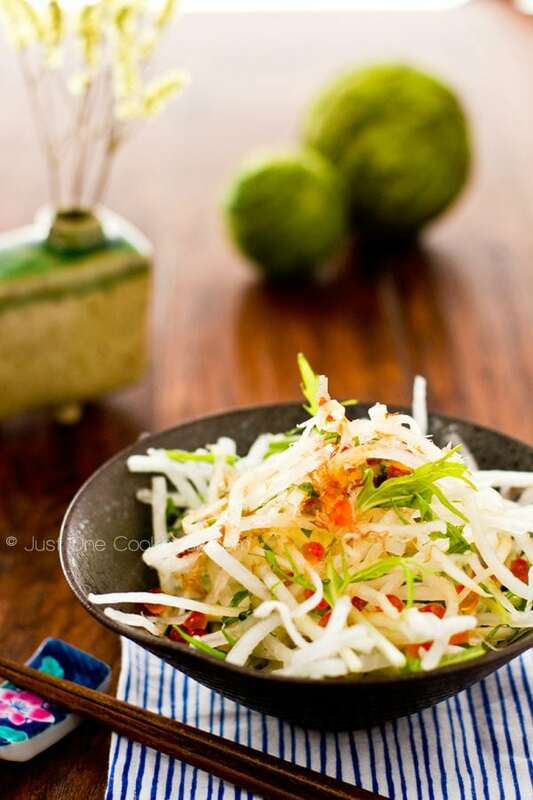 Nami, a picture perfect summer salad – just the kind we adore to eat! 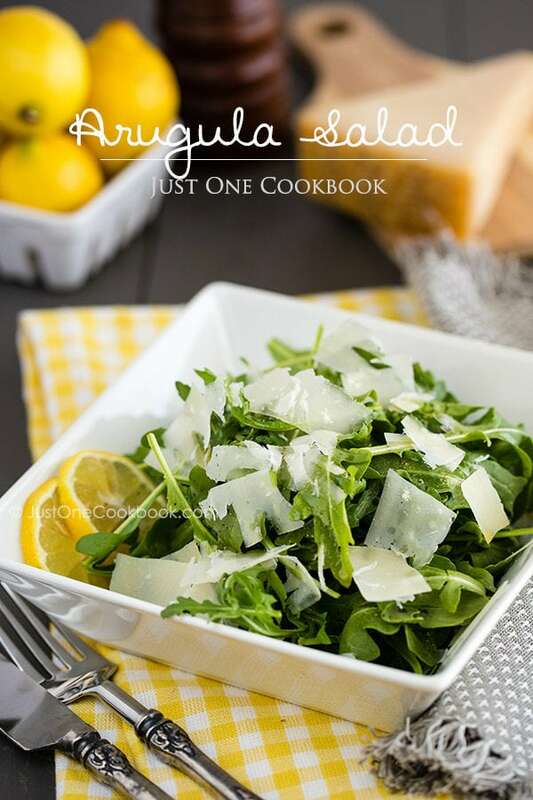 Arugula with parmesan is always a winner! I can have one big plate of this salad anytime! I sometimes interchange shaved parmesan cheese with goat cheese or feta cheese. Yum! Arugula salad is a popular one in our house. We really love the peppery bite that it has. And with a little Parmesan like you’ve done here it is perfection. We are such big fans of arugula. Love the strong taste! Simple and fresh! Perfect for the hot summer months. In Germany we call arugula/rocket rucola, reading English recipes calling for rocket confused me at first. I love to top my rucola sald with toasted pine nuts/sunflowers seeds. That makes sense. Japan has so many Italian restaurants and probably this salad became popular from Italian restaurants! 😀 Thanks Asami! Nami, we (my fiance and I) have been using your recipes in Italia! People here are amaaaazed at the Nama chocolate and surprised (probably not so pleasantly) with the green tea gelato! 🙂 Thank you so much for your blog!!! Hi Catt! So happy to hear my Nama Chocolate recipe is liked by the Italians! Haha, real matcha taste must be very bitter for someone who’s never tried matcha before…and it’s in sweets. Must be very strange concept. 😉 Thank you for your feedback, Catt! I’m in love with these simple but satisfying and delicious salads, the dressing is so light and healthy, it’s my type. I didn`t like eating salads before, but I actually do now! The only thing is, I would only eat it if the dressing is good! And this salad is simple and so is the dressing! I love this salad! I make it all the time. Sometimes I add fruit and/or avocado to it and it’s delicious……my favourite is with sliced peaches and avocado or watermelon. We had arrugula with semi-dried tomatoes the night before and so had a bunch of arrugula leftover. It was way too bitter! But then I chopped up two of the tomatoes and added them to this recipe and it was divine! Thanks so much for such a simple yet delicious recipe! We used Himalayan sea salt and it was amazing! The salt/parmesan helps cover the bitter taste a lot! Hi Catt! I am sorry for my late response. I just found this comment in my inbox. I’m glad you enjoyed the recipe. I love Himalayan sea salt too! Thanks again! Oh I made this last night for my friend’s dinner and it was well received. I added pomegranate seeds to it and it was really tasty! Hi Nami, try adding avocado (3 or 4). It makes the salad even better.